Stockholm Arlanda is expected to cater for almost 40 million passengers by 2040, compared to 25 million today. The development plans for Arlanda include several projects aimed at increasing the terminal capacity and the passenger experience. Among the changes, the walkway between gates 1-10 and 11-24 in Terminal 5 will be renovated to optimise the passenger flow. More aircraft parking stands are planned, as is a consolidation centre for all shops and restaurants. A new pier in Terminal 5 is also planned and Swedavia wants to increase the capacity of the baggage handling system, so it’s dimensioned to handle the increase in passenger volume. In addition, a new security checkpoint will be built. The new pier is not only designed to handle more passengers but also larger aircraft models, for instance the Airbus A380. The trend is for airlines to have larger planes that carry more passengers and the new generation of planes tends to be more fuel-efficient than older ones, reducing the noise and emissions. 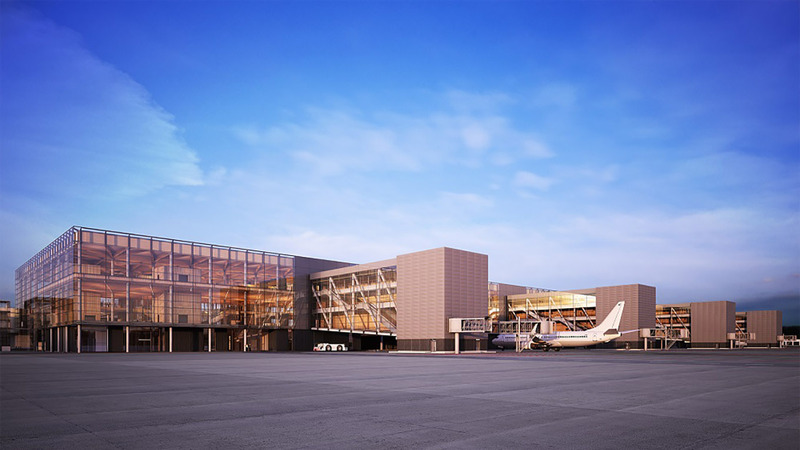 Ramboll delivered the design for optimising the terminal buildings and have delivered engineering services for the new builds and refurbishments of the current structures, a challenging task when the airport is still in operation. Ramboll has supplied all disciplines needed for the whole project delivery, embracing every aspect of design from acoustic engineering to security planning and baggage handling systems. Efficient communication both within the design team and amongst diverse stakeholder groups underpins our multidisciplinary approach, ensuring effective integration across services.